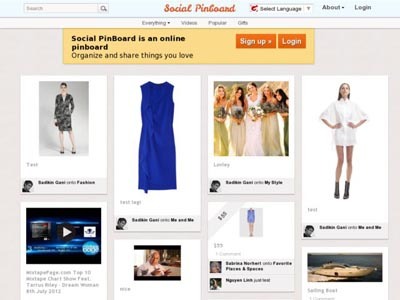 Pinterest is one of the most popular social network site today. Pinterest is a content sharing service that allows members to “pin” images, videos and other objects to their pinboard. If you are looking to create your own Pinterest-like website use one of these Pinterest clones. This is the most complete list available on the internet of the 10 best Pinterest clone scripts. Pinterest Clones is the first pinterest clone software for you to create your own pinterest clone. Pintastic is hardly the best script ever. Put simply – it is the only one that is actually on the market, while everyone else is still looking for a solution. 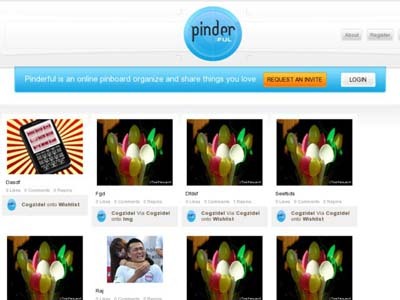 Pinderful is the most enhanced version of Pinterest clone software available on internet developed by cogzidel team. 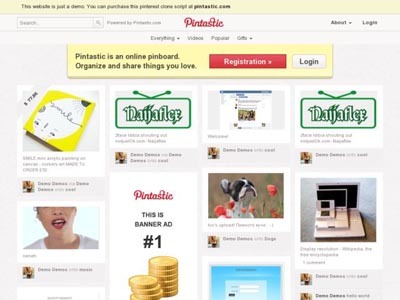 Pinnect is the best solution for pinterest clone software. 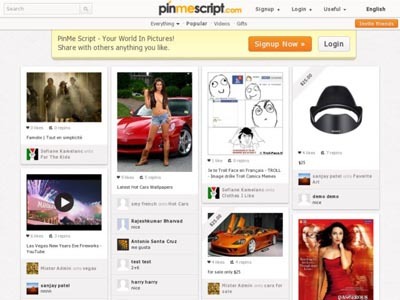 PinMe Script lets you pin photos from virtually any website permitting you to create your own Pinterest Clone Script. 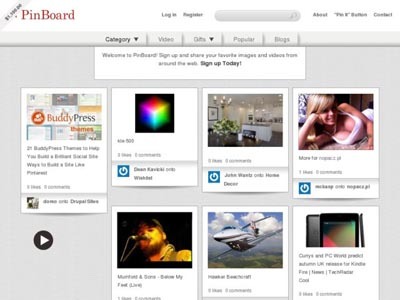 PinBoard is built on the same type of functionality as the now famous Pinterest.com website but PinBoard is built entirely using Drupal. 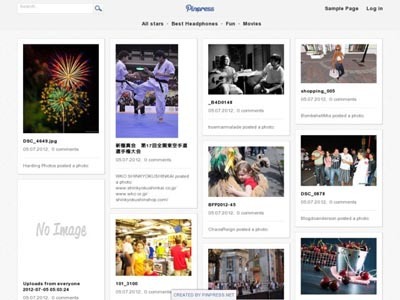 Pinpress is a premium Pinterest WordPress theme that renders the exact design of Pinterest Template. 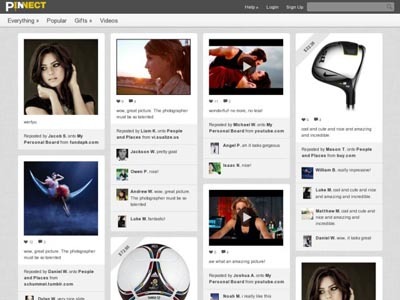 Social Pinboard is developed in Joomla CMS, the best open source platform for social blogging. Gripsell Pinterest Clone having features like Create boards, pins, social media integration like facebook and twitter, liking, repinning and commenting. 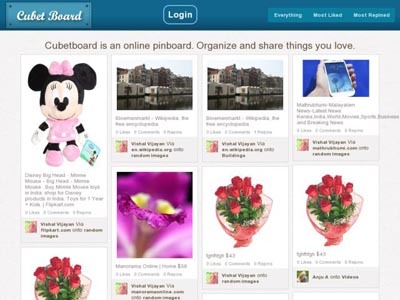 Cubetboard is the best pinterest clone software available today, with the most recent updates to the script. Cubetboard is now releaed and published under GNU license. SO anyone can download and host their pinterest like sites FREE. Please check the updated links as well. Please update the listing accordingly. Once again thank you for adding us into this list. The real beauty of clone scripts is it offers Win-Win situation to the vendor and the customer. But picking a perfect clone script has never been easier. i have experienced a several nightmares after buying some clone scripts which were completely out dated. what i learnt from my experience is, it is really better to purchase clone scripts from the companies that offer reliability and 100% trustworthiness. Getting an end to end support from the vendors makes the buyers breathe easier. There are some of the best clone script providers and Ecommerce Mix will definitely be my first pick for buying clone scripts. During my first project with them i had eaten their heads with my long list of doubts and they have patiently listened and answered my every single query. This had given me enough confidence to work with them. Since then i had bought five clone scripts from the ecommerce mix. I loved PINME script it comes with a better features and moreover such a flexible customization options gives more autonomy and total control to manage. Thanks for letting me know about this awesome pinterest clone script.